Wednesday’s ad is for Miller Brewing, from 1941. This ad features a magic bottle of Miller High Life and a full pilsner glass surrounded by fishing gear. 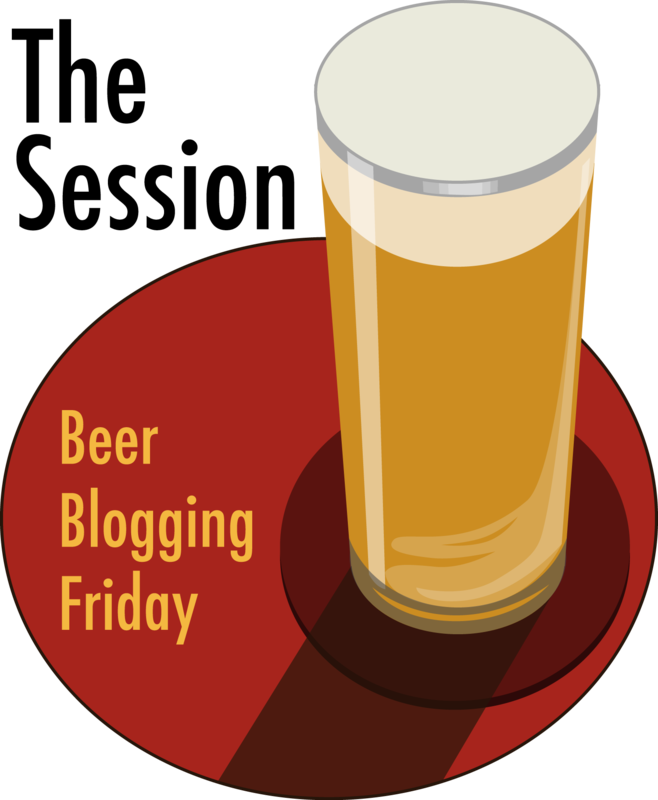 Historic Beer Birthday: Jacob Leinenkugel Jr.
Today is the birthday of Jacob Leinenkugel Jr. (December 5, 1893-February 12, 1935). 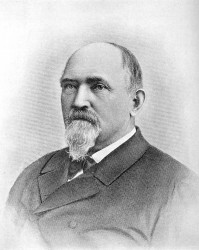 He is the son of Jacob Leinenkugel, who in 1867, along with John Miller, co-founded the Spring Brewery in Chippewa Falls, Wisconsin. 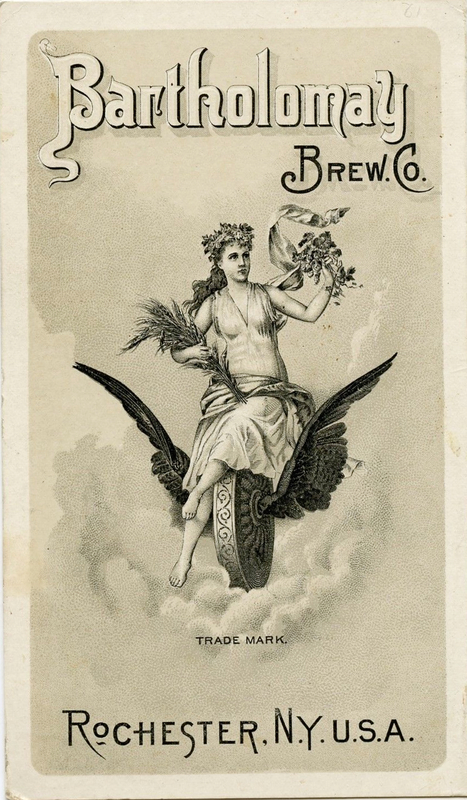 In 1884, Jacob bought out Miller and the name was changed to the Jacob Leinenkugel Brewing Co. Miller Brewing Co. bought the brewery in 1988, but it continues to be managed by the Leinenkugel family. Jacob Leinenkugel and his family, though I’m not sure which son is junior. Jacob Mathias Leinenkugel, son of Mathias Jacob Leinenkugel and Kathryn M Watzl was born 5 Dec 1893 in Chippewa Falls, Chippewa Co, Wis. His birth was recorded in Vol H page 219 of the Chippewa County Court House records. 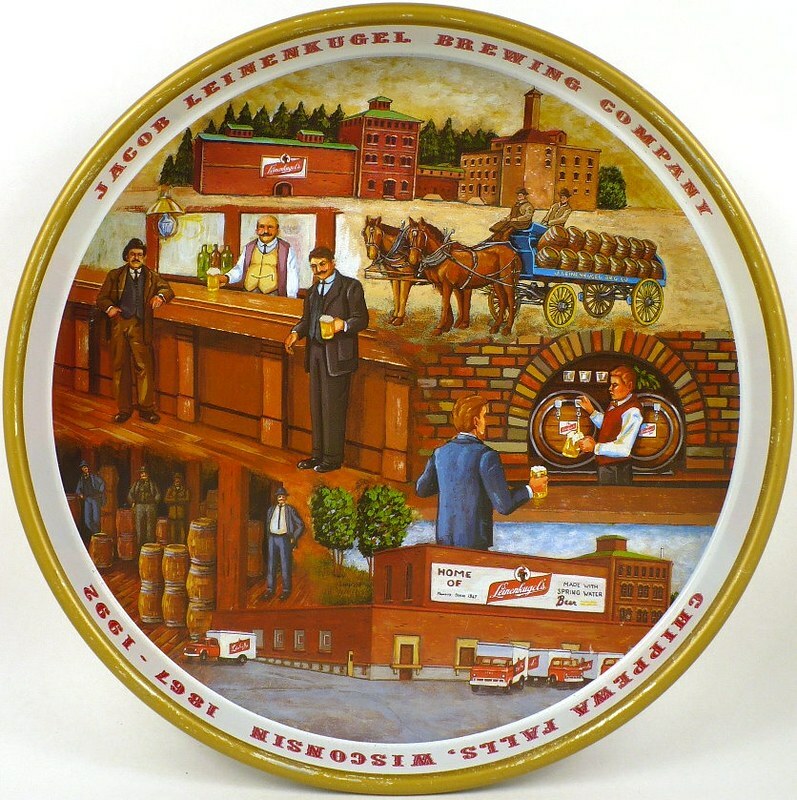 Jacob was son of THE Jacob Leinenkugel of the brewery family. He was the second of three children of Mathias and Kathryn. He became an attorney. He also served during WWI in the US Army. Jacob went to Arizona due to health reasons and died in Tucson, Pima, Arizona at age 41 on 12 Feb 1935. 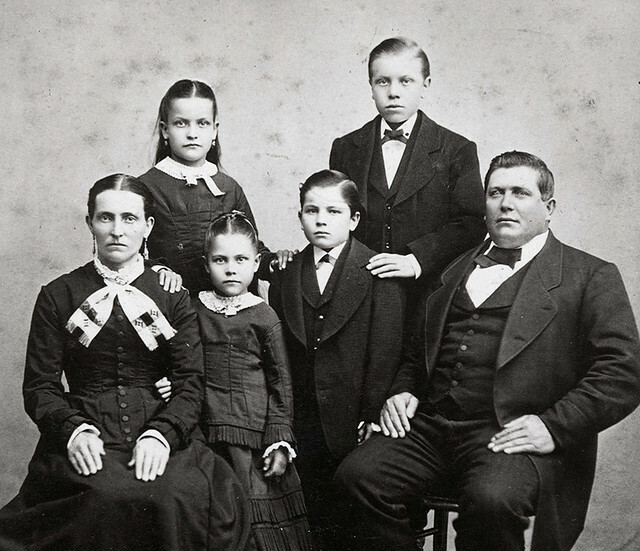 Jacob and Ethel had 2 sons: John William Leinenkugel and James Mathias Leinenkugel. 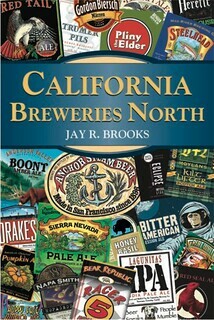 It appears that junior wasn’t too involved in brewery operations, though he may have done legal work for the business. Late in his short life, his health turned poor, and he and his family moved to Arizona for the climate, but he died not too long after the move, when he was only 41. 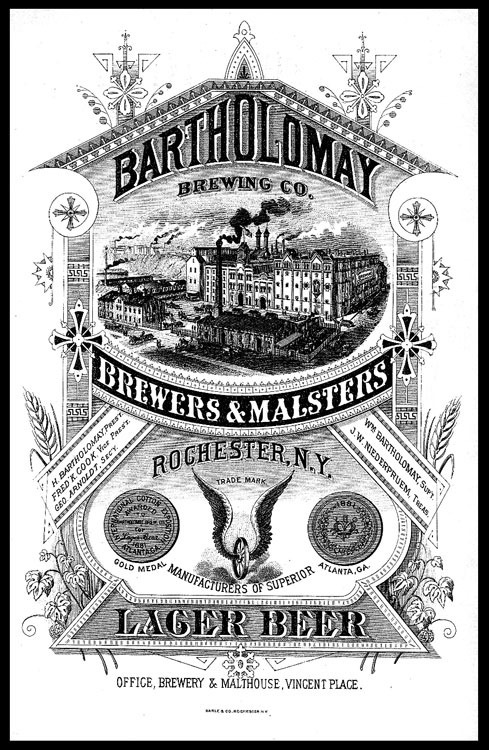 Today is the birthday of Henry Bartholomay (1829-September 3, 1906). 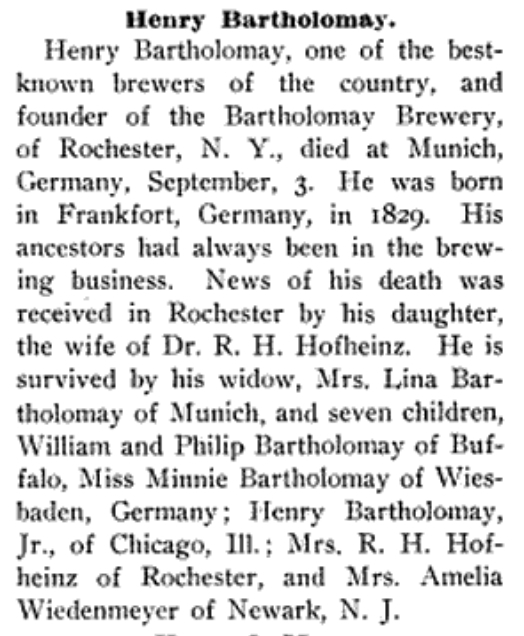 He was born in Frankfurt, Germany, into a brewing family. 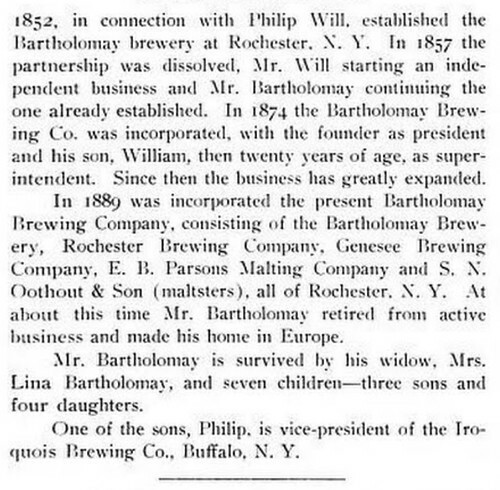 In 1850 he came to America and two years later, in 1852, he opened the Phillip Will and Henry Bartholomay Brewery in Rochester, New York. 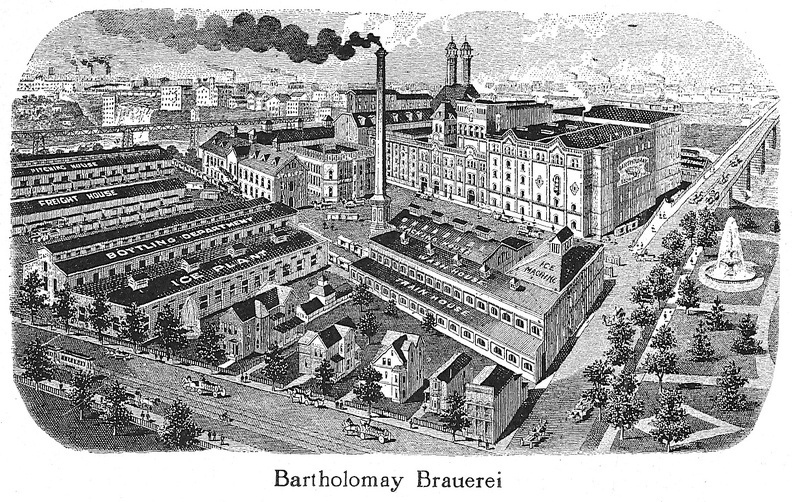 Five years later he bought out his partner, and in 1857 it became known as the Henry Bartholomay Brewery, and later was called the Bartholomay Brewing Co. 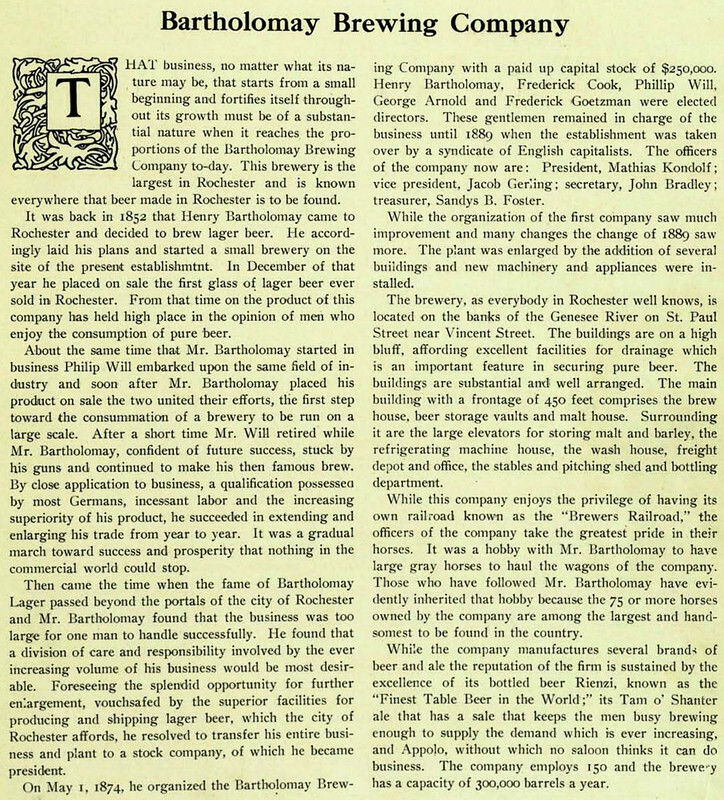 The brewery survived prohibition by making ice cream, but closed a year after reopening after it was repealed, in 1934. 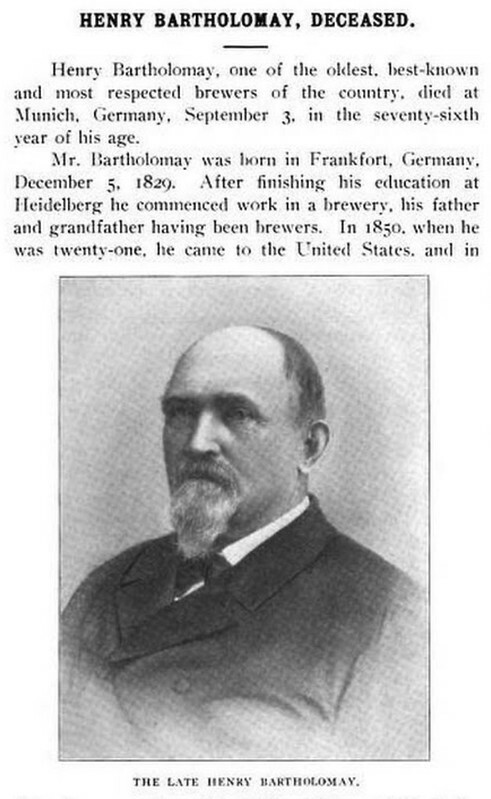 Henry Bartholomay, founder of the Bartholomay Brewery company, and perhaps the best known brewer in America, was born at Frankfort, Germany, December 5, 1829, and received his education at Heidelberg. 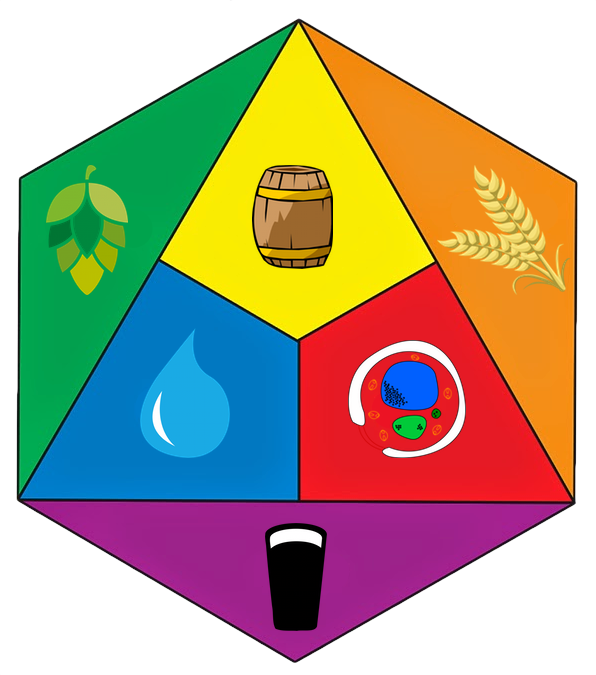 His ancestors were brewers and he engaged in the brewing business at an early age, and was manager of several breweries before he attained his majority. 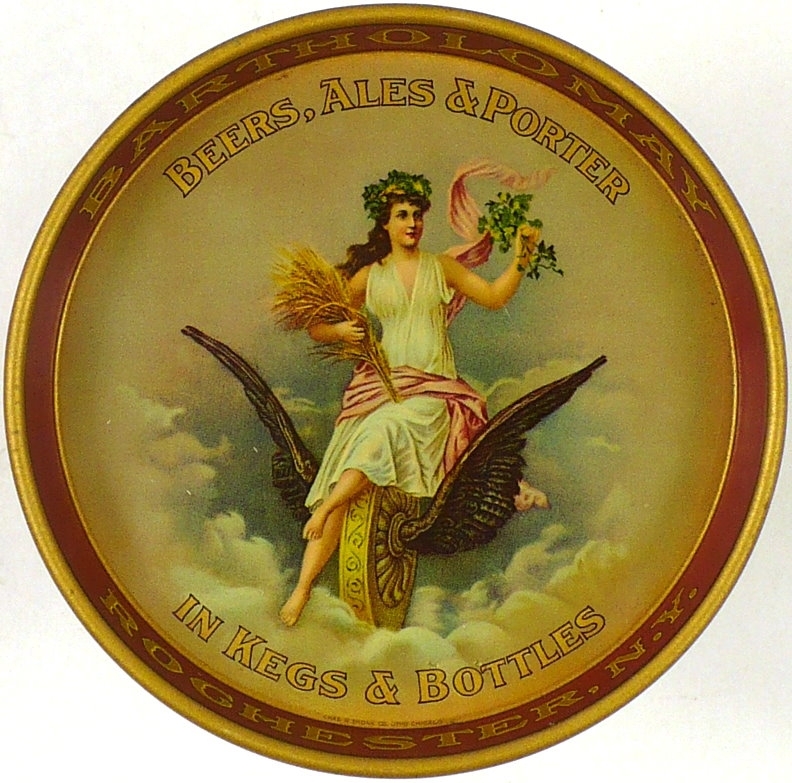 In 1850 he came to this city and in company with the late Philip Will began brewing lager beer. 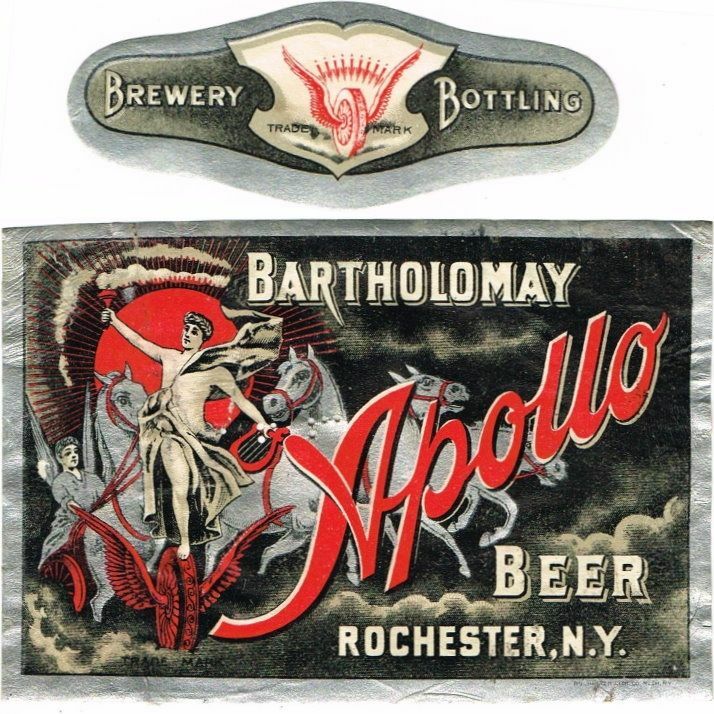 The first beer from their brewery was sold December 7, 1852. 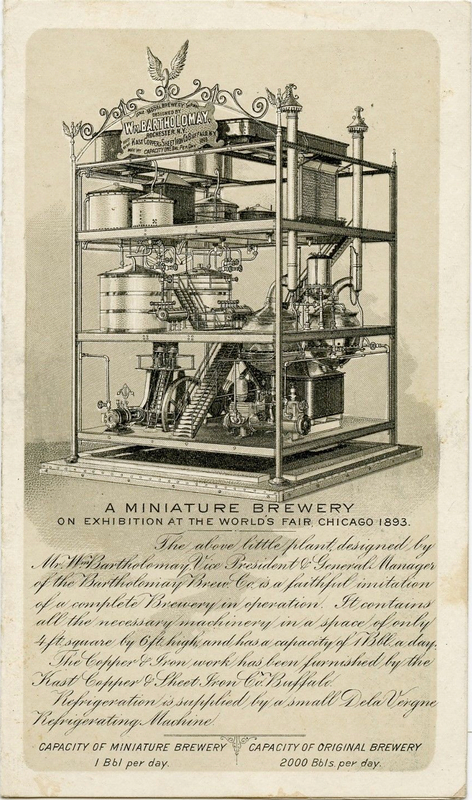 The product of the plant that year was 300 barrels; it is now 600,000 barrels. 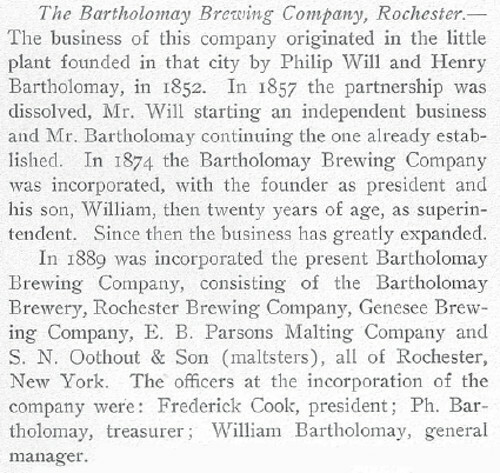 The partnership between Messrs. Bartholomay and Will continued for several years, and on its termination Mr. Bartholomay organized the Bartholomay Brewery company, which is now universally known as one of the most successful in the world. 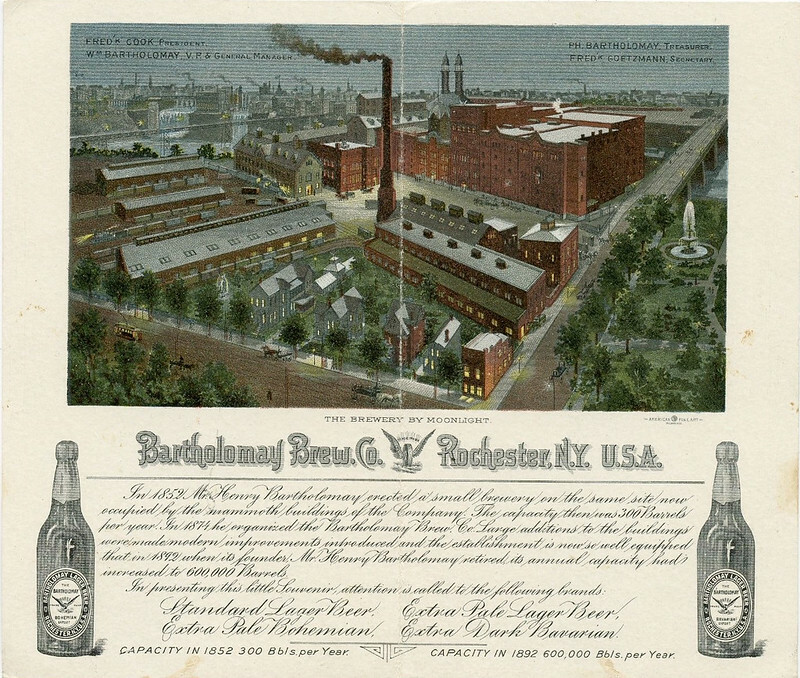 The brewery is of itself a monument to its founder; situated on the east bank of the Genesee River at the angle formed by the junction of St. Paul street and Vincent place, it is the largest in Rochester, and has no superior in equipment in any part of the world. 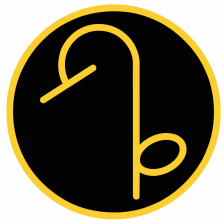 Mr. Bartholomay has every reason to be satisfied with the result of his enterprise and industry. 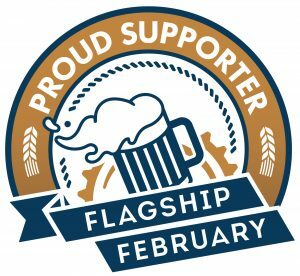 His success in business has been most marked and he enjoys the confidence and esteem of his fellow citizens. 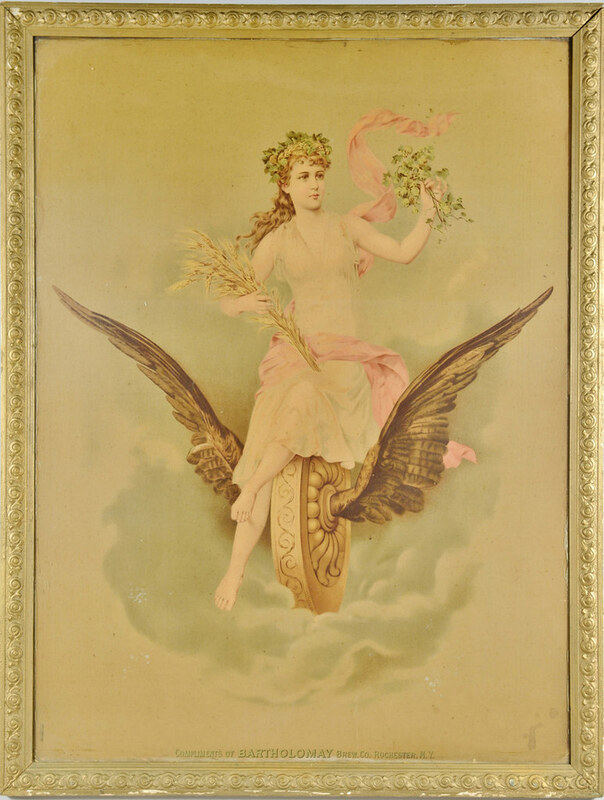 This image and the next two are from the 1893 World’s Fair in Chicago.